Are border walls effective or just a political tool? The US government has been partly shut down for more than four weeks, largely over a political disagreement about the need to build a wall along the US southern border with Mexico. The acrimony in the debate can be confusing to many people, who might note that parts of the border already have walls and that improvements in other forms of security would be more effective. However, the intensity of the debate has more to do with identities and worldviews than with exactly what type of border controls would work well. Border barriers can have many purposes. Some are intended to keep out migrants, armies or terrorists; some are designed as a way to claim disputed territory; some are constructed to prevent people from leaving. All send a message to people inside and outside of a country. More walls are going up around the world. A 2016 report by the Migration Policy Institute noted a significant increase in the number of countries with border walls in the last 15 to 20 years. To some extent, that reflects a post-Second World War trend of a growing number of border barriers, which is partly due to the post-war system of sovereign states with clearly delineated borders. Even so, the last one to two decades have seen an increase in walls and barriers, largely in response to concerns about migration. Many walls are designed to keep people out and, today, migrants are often the focus. In response to the refugee crisis prompted by the Syrian civil war, multiple European countries erected fences to block migrants, especially between 2015 and 2017. In May last year, USA Today reported that “at least 800 miles of fences” had been erected in Europe since the crisis began. A report in November by the Transnational Institute found that 10 EU member states now have a border wall or hard barrier. Some countries that are major transit states for migrants leaving places such as Afghanistan and Pakistan also are turning to physical barriers to try to deter or stop migrants, including Turkey and Iran. Walls to block migrants also exist well beyond Europe; for example, India has a fence along part of its border with Bangladesh to deter Bangladeshi migrants, though some experts view it as largely ineffective. Migration is not the only factor behind modern walls. Other countries — such as India, North Korea and South Korea — have border barriers designed to block militants or militaries from crossing a border. Walls are not inherently good or bad but, in politics today, they have come to symbolize a rejection of globalization and the demographic and economic changes that come with it. In 2002, Israel began building a “separation barrier” to prevent Palestinians in the occupied West Bank from entering Israel without a permit. Previously, much of the disputed border between the West Bank and Israel was somewhat porous, with many checkpoints along roads but sometimes ways around them. The barrier — a massive wall in some places — was intended to protect Israelis from Palestinian attacks. It was also designed to increase Israeli control over Palestinians and to facilitate eventual Israeli annexation of parts of the West Bank. The barrier does not fully run along the “Green Line,” and parts of it cut deep into the West Bank. Israel also has a wall that blocks off the Gaza Strip. These barriers represent security to many Israelis, but repression and collective punishment to Palestinians. Some walls are designed to keep people in. The most famous was the Berlin Wall, which East German authorities constructed to stem the flow of people leaving for West Germany. The wall came to symbolize oppression. When the Soviet Union collapsed and Germans began tearing it down, it symbolized freedom for many people around the world. Walls sometimes work well — until they don’t. The famous fortifications of Constantinople protected the city for hundreds of years, until the Ottomans employed new technology and military tactics that overcame them. Scholars debate the effectiveness of the Great Wall of China at keeping out military threats. A famous example of a failed wall is the Maginot Line — a lengthy series of fortifications and obstacles that France built to prevent a German invasion. The French built the wall with the lessons of the First World War in mind but, in the early part of the Second World War, German forces went around it. There is extensive debate over whether walls work at stopping migrant flows. There is evidence that walls in certain areas that are enforced by security personnel and monitoring technology can decrease migrant crossings in a specific zone. For example, Hungary’s 2015 construction of a fence along its border with Serbia, combined with other tools, significantly decreased migrant crossings into the country. However, barriers across long border areas without sufficient staffing and other tools can be an expensive waste of resources. Furthermore, when migrants are desperate — as many are — they usually seek alternatives, so stopping migrant flows in one place often pushes them to others. 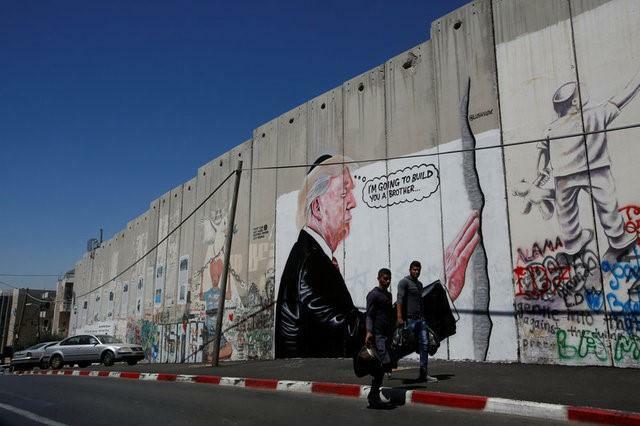 Walls are not inherently good or bad but, in politics today, they have come to symbolize a rejection of globalization and the demographic and economic changes that come with it. Those who embrace walls often see people outside the border as threatening. Those who oppose walls tend to embrace globalization and openness to the outside world. This is why a debate around walls tends to become so passionate — because the message that a wall sends has become as important as its technical effectiveness.